A water pool attached to Robinson Drilling rig No. 4 in Midland County, Texas. Oil and gas deals ground to a halt in early 2019, plummeting to a 10-year low after the collapse in crude prices at the end of last year. U.S. oil and gas mergers and acquisitions in the first three months of the year fell to $1.6 billion, a 93 percent plunge from the $22.3 billion during the same period in 2018, according to energy research firm Drillinginfo. The painfully slow start to deal-making in 2019 comes after a banner 2018, when mergers and acquisitions hit a four-year high of $82 billion. The main reason for the sharp decline in deals was the more than 40 drop in crude prices during the fourth quarter of last year, when prices fell from about $76 a barrel in early October to a low of about $42 in late December. Energy companies, major investors and private equity backers become reluctant to make big deals when oil prices are on an up-and-down roller coaster, analysts said. Crude prices have since rebounded back up to more than $62 a barrel, opening the door for deal-making to pick up during the rest of 2019. But activity isn’t expected to really pick up until the second half of the year, Dittmar said. Wall Street seems to be waiting to see if the recent rally is sustainable while companies, trying to appease investors with higher profits and careful spending, appear unlikely to embark on a buying spree. 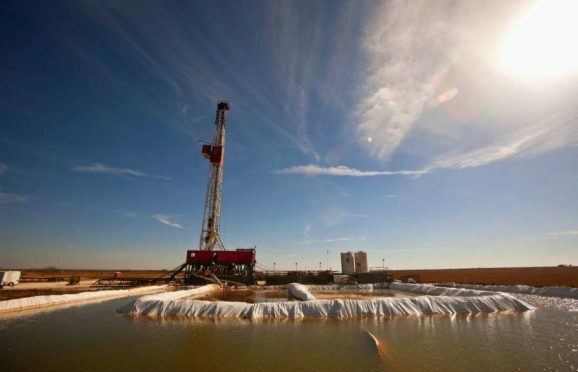 Oil and gas deal-making last year focused on consolidations in Texas shale plays, particularly in the Permian Basin where some of the world’s biggest oil companies expanded holdings. In the largest deal of the year, the British energy major BP acquired the Texas shale assets of Australia’s BHP Billiton for $10.5 billion. Late in the year, two mid-sized Houston companies were gobbled up. The Canadian company Encana Corp. bought Newfield Exploration for $5.5 billion and Chesapeake Energy of Oklahoma City acquired WildHorse Resource Development for $3 billion. With nearly all the top acreage scooped up during the land rush of recent years, the Permian should continue as the focus of merger and acquisition activity. Companies with significant Permian holdings that are up for sale include Midland’s Endeavor Energy and Fort Worth’s DoublePoint Energy. Royal Dutch Shell is said to be a top bidder for Endeavor, which had an asking price of at least $8 billion.